Call my psychic, but I do believe that winter may have started …. today!! Given that I was woken up by some crazy gusts of wind outside, I have already had one power cut this morning and as soon as I walked outside my house my newly dried hair was splatted wet across my face….attractive. Yep…winter is here. I have friends that liberally apply lip balm throughout the year, but for me it only moves from being a “nice to have product” to an “essential handbag/back pocket of jeans staple” as soon as the colder weather hits. Today is the official start of lip balm season. There is nothing worse than lips that are dry, cracked, chapped, flaky or weather beaten, well there is, it is when you don’t have a good lip balm to turn to. I have tried many a lip balm …. the high street favourites, the bees wax one, the medicated ones and the high end variety, the truth is none of them are a patch on the Lip Balm Stick by Trevarno Skincare £3.90 (www.trevarnoskincare.co.uk). 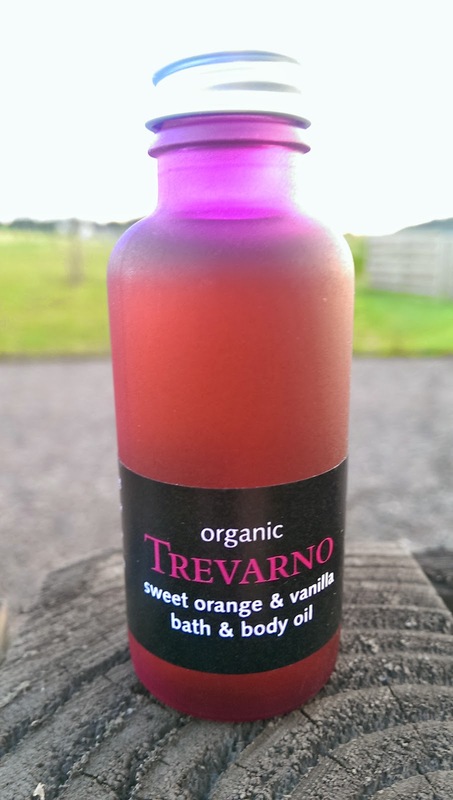 Trevarno is a great organic brand based in Cornwall. I decided to add this Lip Balm to my online shopping basket when I was recently stocking up on my favourite Body Oil by Trevarno. This Lip Balm is natural, organic, moisturising, soothing, it absorbs into the lips easily and protects them without coating them. The simplistic but super effective list of ingredients are lip softening beeswax, moisturising olive oil infused with comfrey and soothing olive oil infused with calendula petal.You can buy it in a tin also, but I have to say I love the ease of the Lip Balm Stick. It is so handy to use without dipping your fingers in the pot. I love the fact that there is no fragrance to this product. Fifi Friendly 5* awarded to this great lip balm by Trevano. It will definitely restore your lips to their pre-cold snap glory and protect them from any other weather induced chapping. Such a treat for the lips. Previous Post Returning to Archerfield…..
Next Post Chicken with Mint & Goat’s Milk Yogurt….